On paper, the Saints may have been over-matched. The Penn Wood Patriots came in as the #6 ranked AAAA team in the state and looked poised to move up after knocking off a powerful Chester team earlier in the week. 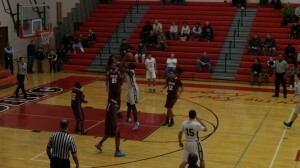 The Patriots had been led by junior guard Malik Jackson, who was averaging 23.5 points per game on the season. The Saints jumped out to an early 13-0 lead on Saturday afternoon, a lead which they would not relinquish. The Saints held a 22-7 lead after the first quarter, led by Nana Foulland, who posted 11 points in the first frame. Heading into the half, the Saints led by a score of 34-21. A major reason for their halftime lead was that Patriots leading scorer Malik Jackson had been held scoreless. The Patriots outscored the Saints in the third quarter and probably made the score a little too close for comfort for coach Snip Esterly. Heading into the final quarter the Saints led 40-35. After allowing the Patriots to get the first points of the fourth quarter, cutting the lead to 40-37, the Saints led by Connor Jack and Isaac Lutz would not allow the visitors to get any closer. When it was all said and done, the Saints won by a final of 50-40. Saints guard Cooper Kutz, who scored just 1 point, was named MVP for his defensive efforts. 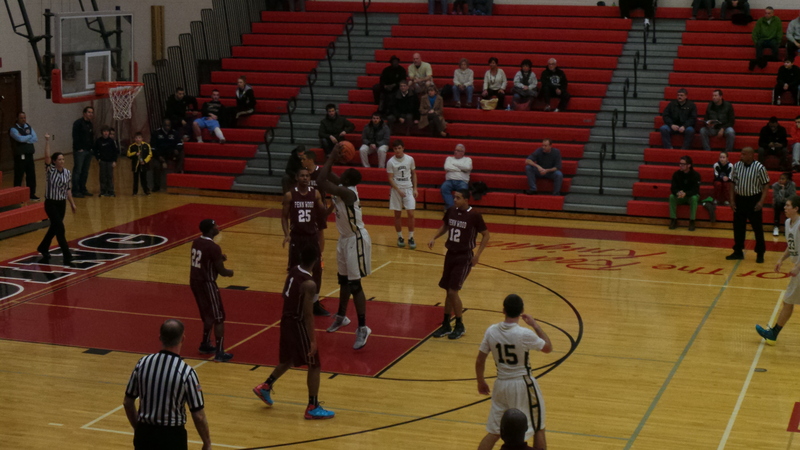 Kutz held Malik Jackson to just 5 points on 1-of-14 shooting. Nana Foulland posted 20 points and 14 rebounds for the Saints, who also got a double-double out of Connor Jack, who had 17 points and 10 rebounds. The Saints, who have won 8 consecutive games, are 13-3 heading into their matchup with rival Wyomissing.